For over 27 years, Mr. Turmell has provided capital and advisory services to small, medium, and growth businesses. 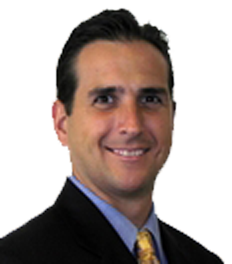 His background includes diverse experience managing financial and operating aspects of companies, including: investment/capital deployment analysis and execution; financial planning; strategic planning; corporate structuring; investor negotiations/relations; lender relationship management; vendor negotiations; and leading continuous improvement initiatives. Prior to founding TMT Capital, Mr. Turmell held the position of Principal at Golub Capital, providing senior debt, junior debt, and equity capital to middle market companies. Mr. Turmell joined the firm in 2004 to establish and build the firm’s Chicago office, make new investments, and participate in portfolio management. Before Golub Capital, Mr. Turmell was a Vice President with Pfingsten Partners, L.L.C., an operationally–oriented, middle market private equity firm focused on making control investments in middle market companies in the manufacturing, distribution, and publishing sectors. Before Pfingsten, Mr. Turmell was a Vice President at LaSalle Bank, N.A., providing credit and non–credit financial solutions to middle market manufacturing, distribution and service businesses. In addition to his activities at TMT Capital, Mr. Turmell is an Executive Committee Member of the Chicago Chapter of the Association for Corporate Growth, and leads several committees that execute various conferences and programs produced by the Chapter. He also serves as an Advisory Board member of Windsohy, LLC, and Fundology, Inc.
A Michigan native, Mr. Turmell holds a BBA degree in Business Administration from the University of Notre Dame, and an MBA degree in Finance, Management and Strategy, and Organizational Behavior from the J.L. Kellogg Graduate School of Management. © 2019 TMT Capital Partners, LLC.